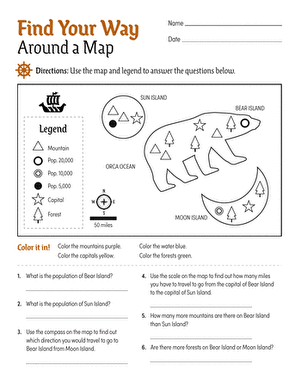 Challenge your child's map skills with intermediate directions. Help him read and figure out the locations on this town map to find the answers. He'll build his sense of direction as well as his ability to follow directions!